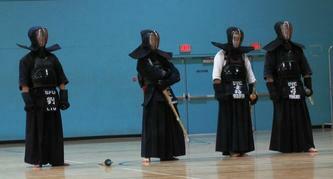 Welcome to the home of Kendo in Victoria! 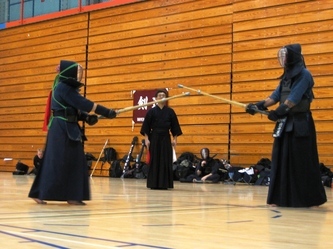 Here you will be able to find information on all kendo practices in Victoria, BC. Kendo was first introduced to Victoria in 1986 by Ted Davis sensei and practices have been held continuously at the University of Victoria since then. 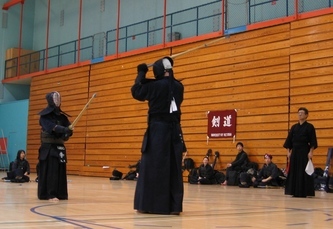 UVic Kendo meets three times a week at the University of Victoria and is open to all members of the community. 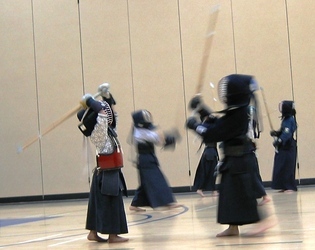 For those 15 years and younger, please click here to connect to the website for our Junior Kendo Program. 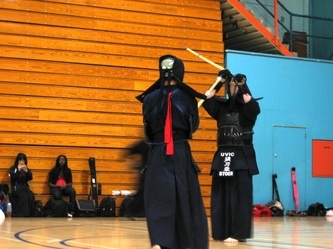 Kendo is a Japanese martial art based on the use of the samurai sword. 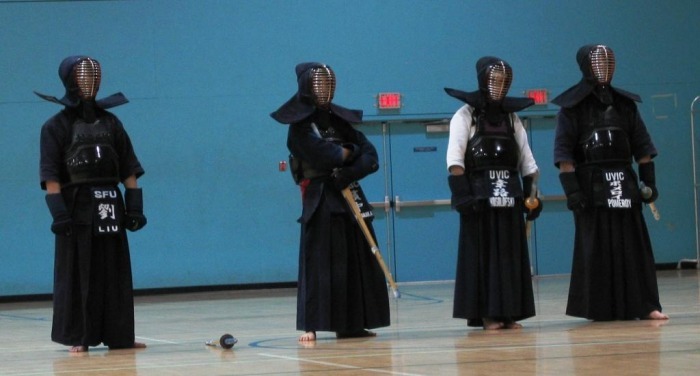 In kendo, we use protective armor (bogu) modeled on samurai armor, and bamboo sticks (shinai) which represent swords. 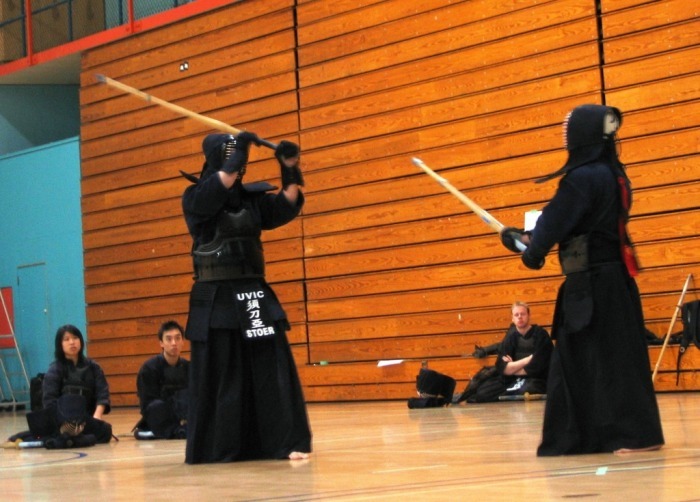 The primary purposes of kendo are to develop awareness, centeredness, wholeheartedness, endurance, concentration, respect for others, and self-confidence. 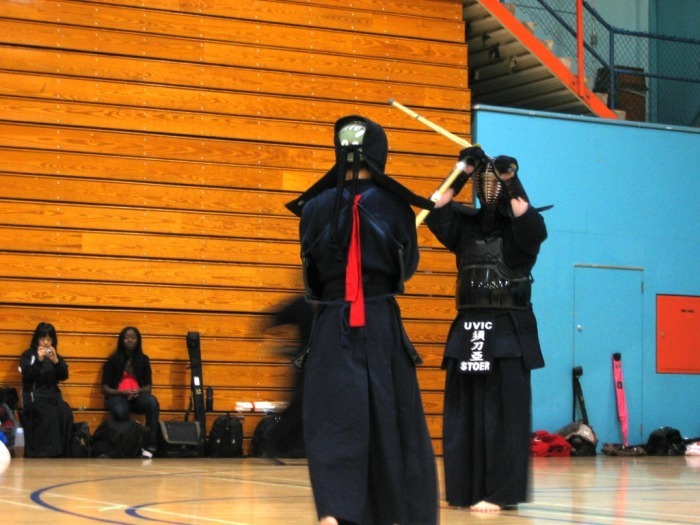 Kendo can be approached in different ways as a competitive sport, for physical health, for spiritual and mental development, or as an introduction to Japanese culture and philosophy.